Household pests cause everything from nightmares to breakups, according to a study just released by pest control giant Terminix. 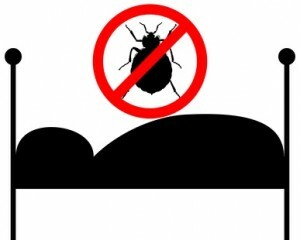 According to the survey, conducted by Kelton Global, 93% of people are afraid of encountering common household pests. And for good reason: spiders, cockroaches and mice can cause health issues, not to mention serious property damage. Yet, 60% of residents are living with pests. Not only do people fear pests more than other catastrophes — real or imagined — including tornadoes, zombies, and celebrity presidential candidates, but most people are unprepared to deal with an infestation. According to the survey, one in five millennial renters say they considered moving when they saw creepy-crawlers in their apartments. For many, pests cause more anxiety than speaking in public, the threat of global warming, or natural disasters. Apparently, pests also are a relationship killer. One in four women said they’d stop dating someone who has even one cockroach roaming around the house. That’s higher than the number of breakups caused over political differences or a lack of fashion sense. The worse culprits include scorpions, followed by rats, bed bugs, wasps and spiders. Over 60% of those surveyed feared rats over an approaching tornado. Survey participants say they lose sleep over pests, and some even experience nightmares. The most common weapon used against pests: a shoe. These results point to a serious problem for landlords. Tenant retention depends upon good service, and pest control must remain high on the list of rental property maintenance priorities. What’s more, some renters have taken matters into their own hands, and for a few, that has proven fatal. The use of DIY pest control products can cause anything from skin irritations and breathing problems to death. For that reason, landlords are advised to enlist the help of a professional pest control company like Terminix. Not only is this the most effective way to rid an apartment or building of pests, it’s the safest. Misuse of pesticides creates significant liability for landlords. To avoid income loss, build a relationship with a pest control expert in your area who can conduct regular inspections, prevent major infestations, and keep your renters from getting the heebie-geebies.